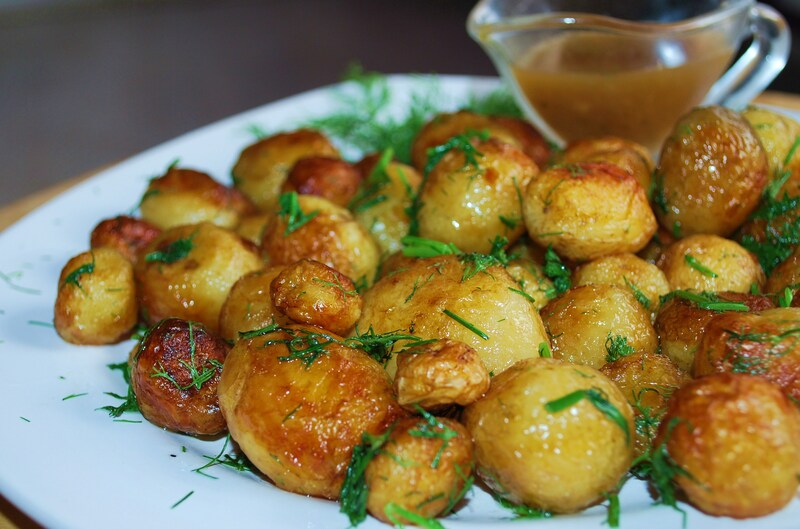 Fried new potatoes flavored with dill are very popular in Georgia, both as a family meal and as a dish when eating out in restaurants. Simple and quick to prepare, they are especially delicious when served with green Tkemali (Georgian ტყემალი), a sauce made from a variety of wild, sour plum. 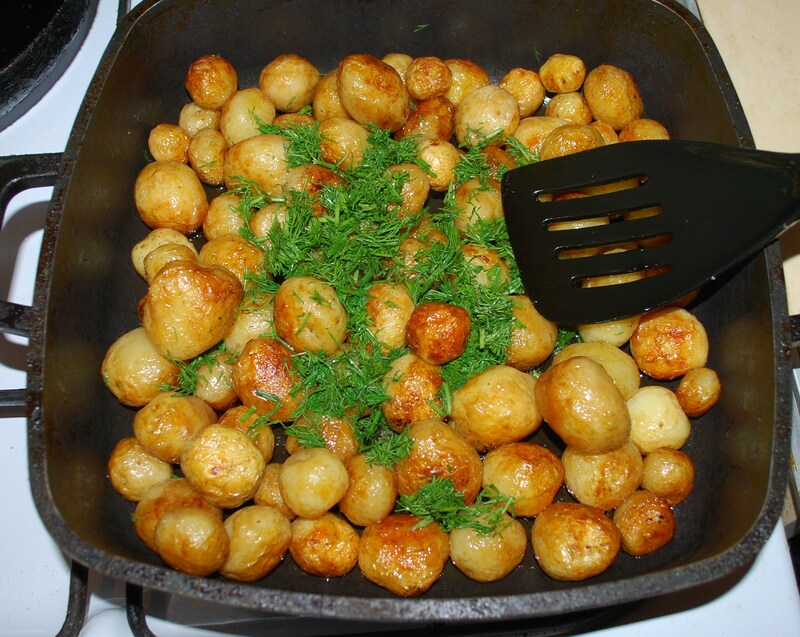 Ingredients: 1 kilo of small, new potatoes, 20 grams of dill, 80 ml of oil and salt (amount dependent upon personal preference). 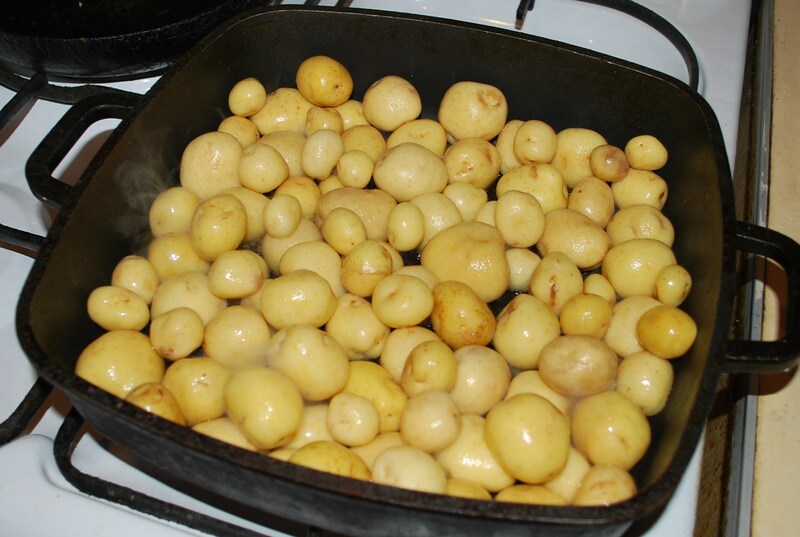 Preparation: Wash the potatoes, drain off excess water and add to a pan with 80 ml of hot oil. Partly cover and fry on a low to medium heat. Stir frequently. When the potatoes are almost cooked, turn up the heat and continue frying. When the potatoes are crispy on the outside, add salt (amount dependent upon personal reference). Stir. Turn off the heat. Add chopped dill. Stir and leave for 2 minutes before serving. Serving: Serve hot. 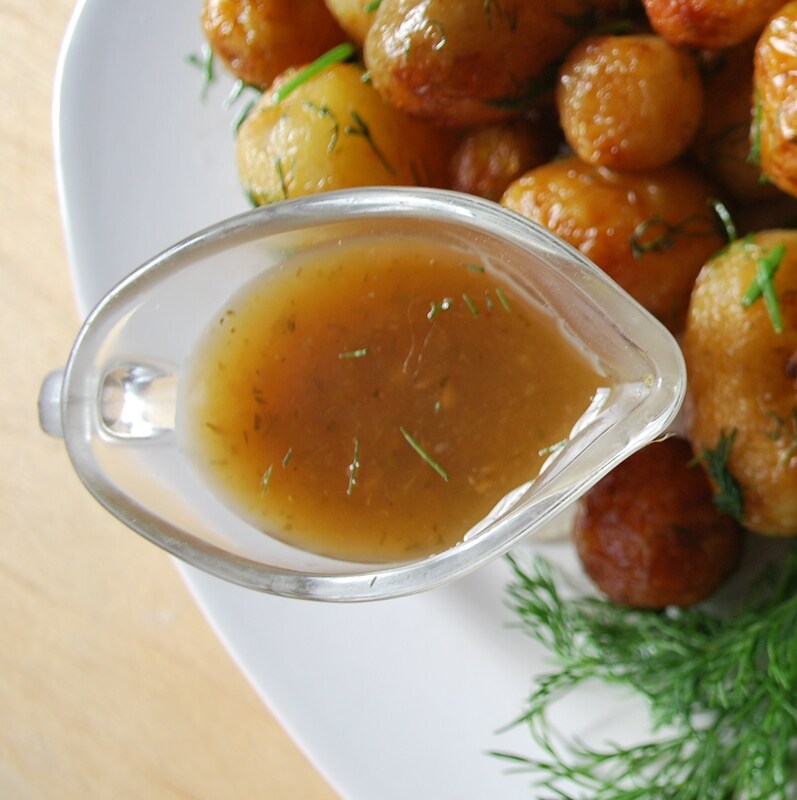 In Georgia, the potatoes are served with green Tkemali (Georgian ტყემალი), a sauce made from a variety of wild, sour plum. 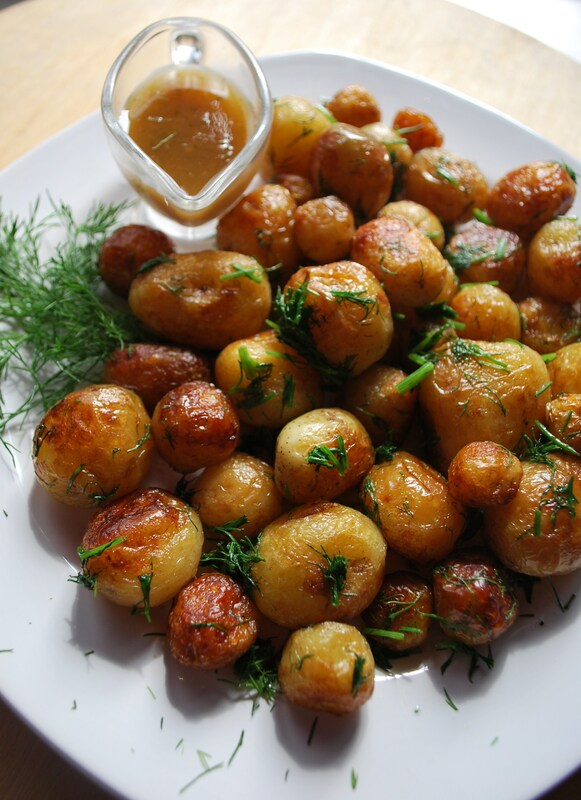 Enjoy your Fried New Potatoes with Dill! Gorgeous potatoes! Love the dill on them.